These days, the Internet has made it easier for users to access almost any type of media in just one simple search. Not only that, it is now very easy to store media files locally may it be on your PC, tablet or smartphone. While some websites already offers direct download options, majority of today’s users still rely on safe and secure media downloaders. One good example is KeepVid Android . Like its web counterpart, this YouTube to MP3 video downloader offers fast HD downloads that you can readily save to your tablet or smartphone. So what is KeepVid Android? It’s basically a fast and secure music and video downloader for Android devices. You can use it to download music and video files online and save them to your tablet or smartphone. With it, you can download YouTube videos in standard, 2K, HD and UHD resolution and then directly save them to your device. 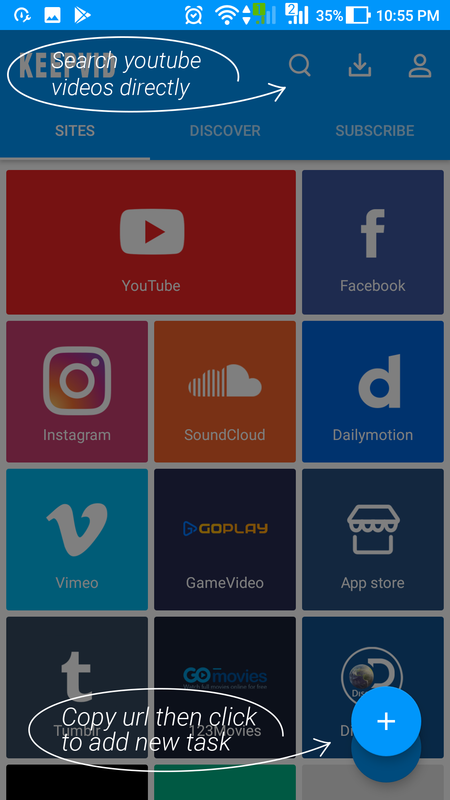 Not only YouTube, you can also use this app to download music and videos from other sites like Facebook, Instagram, SoundCloud, DailyMotion, Vimeo, Tumblr and more. It readily downloads any videos from YouTube to MP3  or MP4 formats so you can save them to your smartphone or tablet. You can also choose your preferred MP3 or MP4 quality. For video formats, you can choose from 144p 3GP, 240p 3GP, 480p MP4, 720p MP4 to 1080p HD MP4. You can also save the videos with captions. 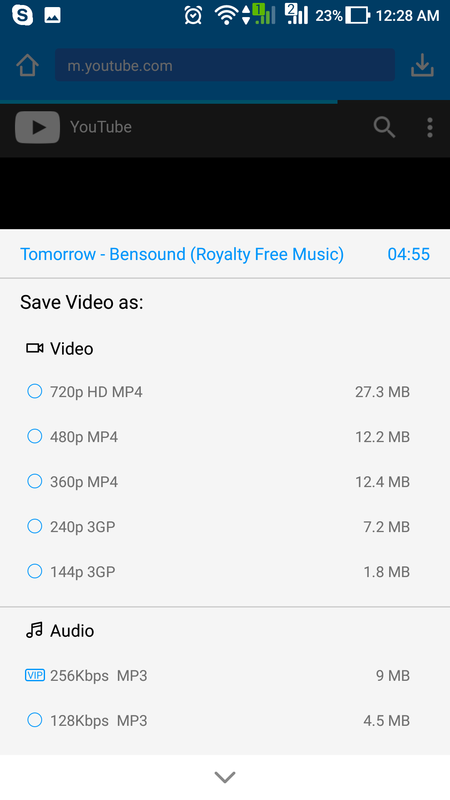 It has a built-in web browser and search function so there’s no need to externally locate and copy the URL of the video or music and then paste it to the KeepVid Android app to download. While the download video by pasting URL is still a basic option, you can simply use the search function to search for any video you want, preview it and then press “download”. Like what I said above, KeepVid still keeps its basic feature of copying the media URL first and then pasting it into the app to download. What’s different now is that it remembers the last URL you copied from clipboard so you just need to confirm if it’s the correct media link before proceeding with the download. With the Android app of KeepVid, you can also download playlists. So if you wish to download music or video playlists (ex. YouTube playlists, SoundCloud playlists), this app will easily let you do that. Fast HD downloads and media conversions. User-friendly. The app’s user interface offers guides and properly labelled menus for new users. Most of KeepVid Android’s features are free to use and access so paying for its VIP access is totally optional. The quality of the downloaded music and video files are excellent. No choppy videos. The sound quality is also outstanding. While not really considered as a con, it is important to note that while KeepVid Android is free, it also offers VIP access. Therefore, if you’re a free user, there are certain restrictions like the fact that you can’t download 2K videos or 256kbps MP3s. There are also ads that selectively appears on the app plus you cannot download YouTube videos with captions (YouTube CC option). The option for downloading playlists is also just available for VIP users. KeepVid for Android is not available on the Play Store. To get it, you must directly go to the KeepVid Android page (see below) then download it from there. The process is simple and basically the same as installing any other APK file. You simply need to make sure that you’ve allowed your device to install third-party apps. Once installed, you launch it and you’ll be greeted by its welcome guide. I’ve actually been using the online version of KeepVid for a long time now so its Android version comes off as a great addition. At first glance, its user interface looks really neat and well-organized. It is also very responsive plus it doesn’t lag or crash. When it comes to searching for videos to download, it has a built-in web browser so there’s no need to leave the app and go to another app or site just to find the video that you want. The same goes for searching music. Moreover, KeepVid Android already supports a wide range of sites so you won’t have difficulty downloading the videos you want. You can download videos not only from YouTube but also from 123Music, LiveLeak, Vine, etc. The download process is also fast and simple. It’s very straightforward. After tapping the download button, you can choose the output quality and format that you want. Of course, the speed of downloads may vary and depends on your Internet connection. Nonetheless, you won’t have to wait for hours just for one 720p video to finish downloading. It will only take about a minute or so for a user with an average Internet speed. After download, you can easily access the download file right within the app or directly from your smartphone gallery or file manager. There’s also no loss of quality so you get to enjoy listening to your favorite music and watching your favorite videos like you do on various streaming sites. Just note that not all features are accessible to users for free. There are some that only VIP users can access including ad-free access. Nonetheless, upgrading to VIP isn’t really expensive. It will only cost you less than $2 to upgrade as a VIP user and that’s a one-time fee. 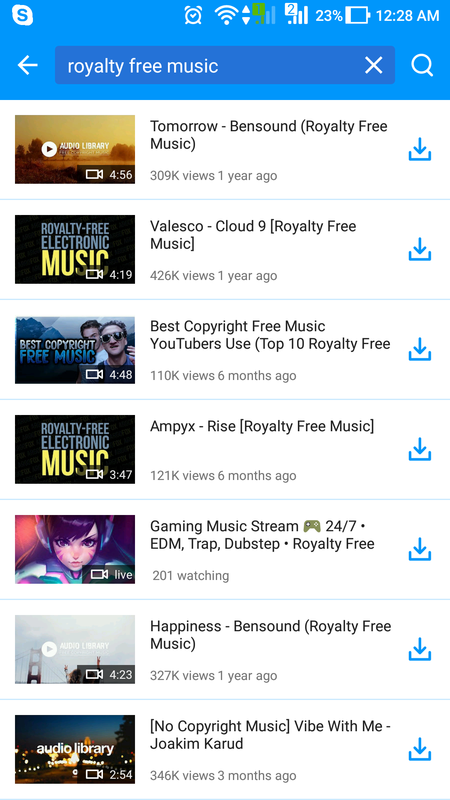 KeepVid Android is a great solution for users who likes to safely and conveniently download any music or video to their mobile device. It offers a hassle-free option for saving videos and music files to your device’s local storage. It’s great especially if you want to watch some movies or music videos while travelling and you’re on a limited data. Instead of streaming them, just download them using this app and watch them offline. Indeed, KeepVid for Android is a very useful app. I highly recommend that you try it out especially if you spend lots of time watching YouTube videos. You can also check out its free YouTube to MP4 online tool  if you want.